It is a known fact that you start and end each day in your bathroom. So, it is essential to make your bathroom appealing and equally relaxing. Your bathroom is the place where you prepare for your day ahead and unwind in the evening. Your bathroom might look slightly cluttered and unorganised if all your toiletries are just lying around. So, the question which might arise is – where to store all of the bathroom essentials? Here is where bathroom furniture comes to your rescue. You can store all your toiletries and everyday essentials within your furniture. There is a range of solutions available when it comes to bathroom furniture design However, before going ahead and buying your furniture, you need to think of the available space for in your bathroom. Once you have this aspect clear, you can move forward to choose the type of furniture according to your requirements. Here are the various types of bathroom furniture which are easily available at Utopia furniture limited. A lot of us don’t use the space above our toilets. So why not use it for storing your toiletries. You can simply add an additional unit, cabinet or shelving which can help contain all your essential toiletries and products. This type of storage is a smart idea to avoid crowding in your small bathroom. Your bathroom vanity unit is not only is not a mere way of organising your stuff but it also hides pipework with added storage. However, you should keep in mind the size of your bathroom before buying your bathroom vanity unit as an over-sized vanity unit will disrupt the flow of your bathroom. There are basically two types of bathroom vanity options- with a slabtop washbasin or with an undermount washbasin with worktop. Mirror cabinets are very effective in storing the comparatively smaller items in your bathroom. You can add a mirror cabinet on its own or pair it up with other wall units. 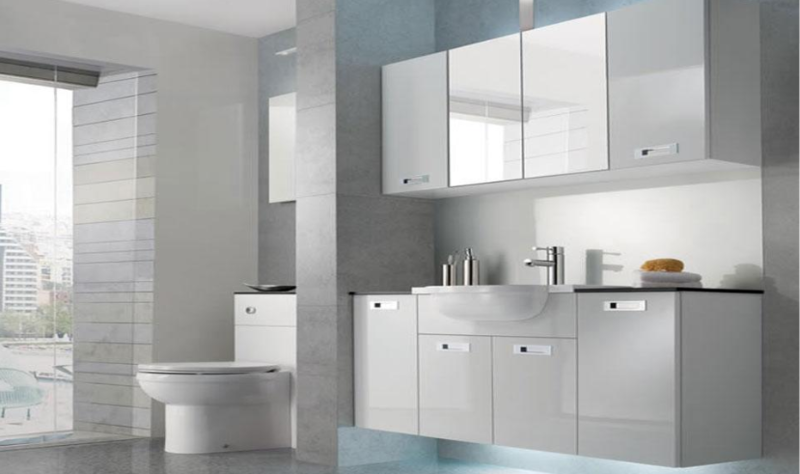 Mirror cabinets will give your bathroom a more spacious feel with the light reflecting. These cabinets are often fitted above your washbasin where you can store your everyday essentials along with any medicines that need to be kept out of reach. Tall storage units are also a great option for smaller bathrooms as they do not cover a major area. You can also use them to keep your toilet rolls and cleaning materials. There are a lot of available options when it comes to bathroom furniture in the UK. Cabinets are an extremely stylish way of adding valuable storage to your bathroom. There are mainly two types of cabinets – ones which sit on the floor are called free standing units whereas the others which are mounted on a wall are called wall mounted units. If you are looking for designer bathroom furniture in UK, you can check out www.utopiagroup.com which has something for all sizes and styles of bathrooms.